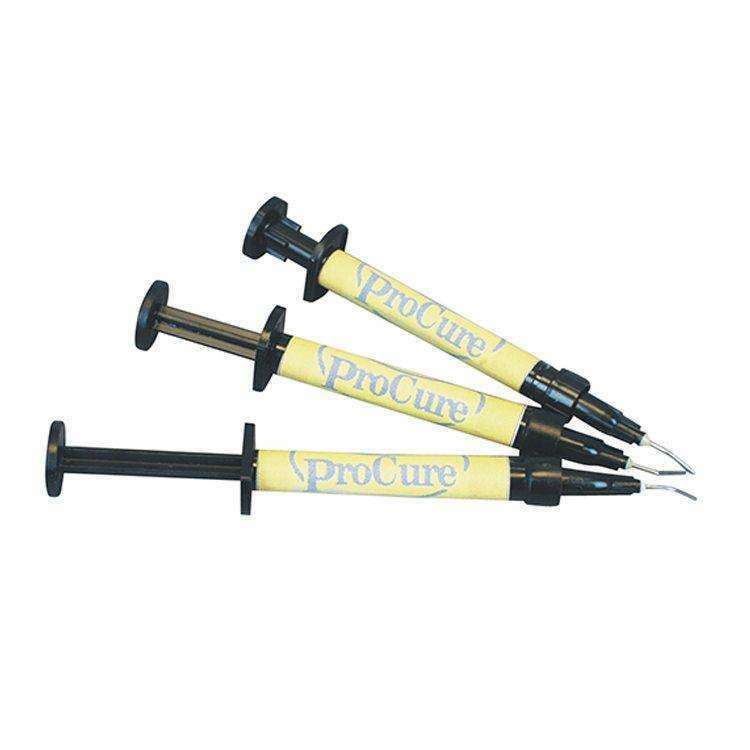 ProCure Block Out Material now has a low viscosity, pigmented light-cured resin in syringe form that is excellent for blocking out models. This unique resin can be used in a variety of situations including bleaching reservoirs, die prep situations, and filling voids and chips in prepared models. The kit comes with five pre-filled 1.2cc syringes and 15 tips. Tips can also be ordered separately.